Course Website: Official Website - Visit Dismal River Golf Club (White)'s official website by clicking on the link provided. 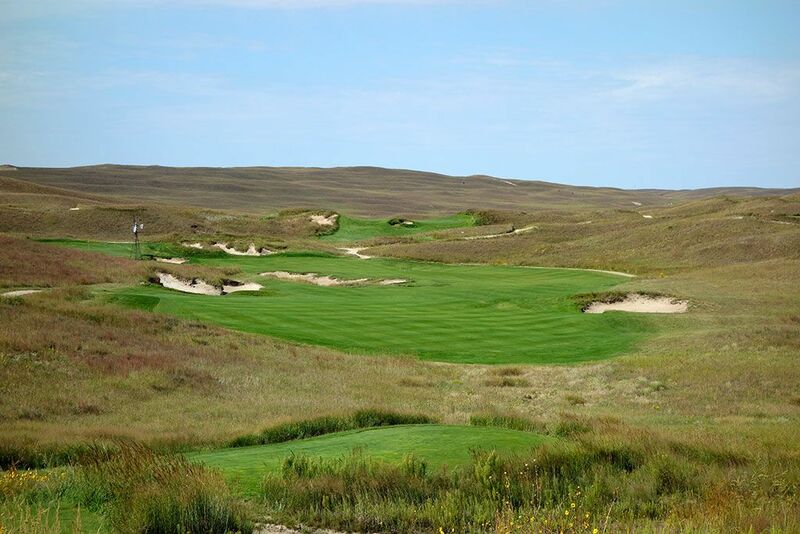 Accolades: Ranked 5th in Nebraska on Golf Course Gurus' Best in State list. 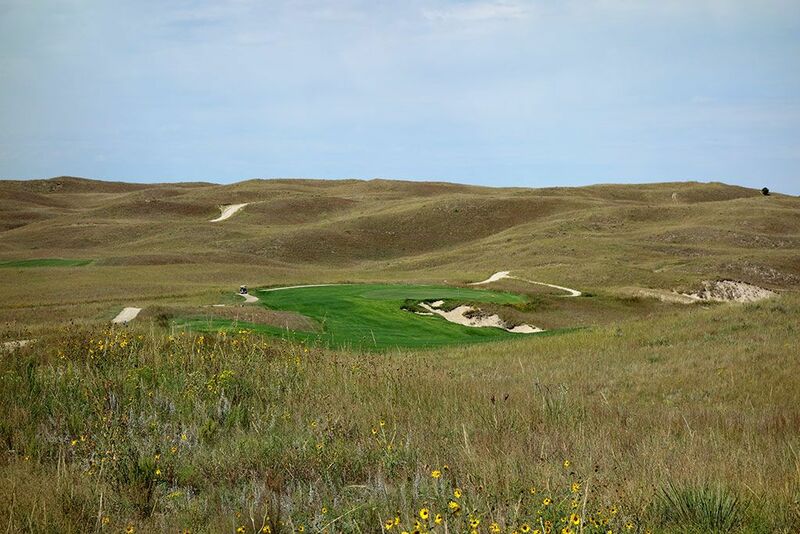 What to Expect: The first course to open at Dismal River was Jack Nicklaus' impressive design that feels bigger, bolder, and more minimalist than any other course sporting the Golden Bear's name. 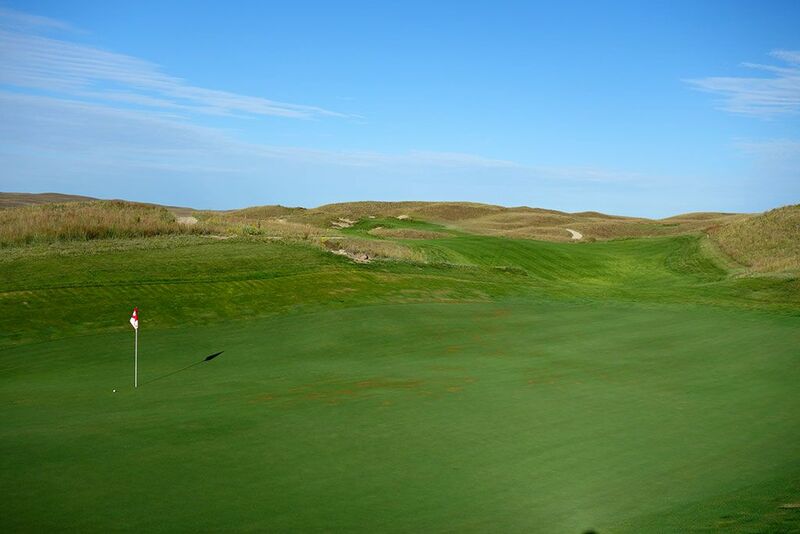 Visually more stunning and considerably more difficult than Doak's Red course, Nicklaus' White course goes outside the box of Jack's typical body of work by delivering more blind and uphill shots as well as a par three with a bunker in the middle of the green. 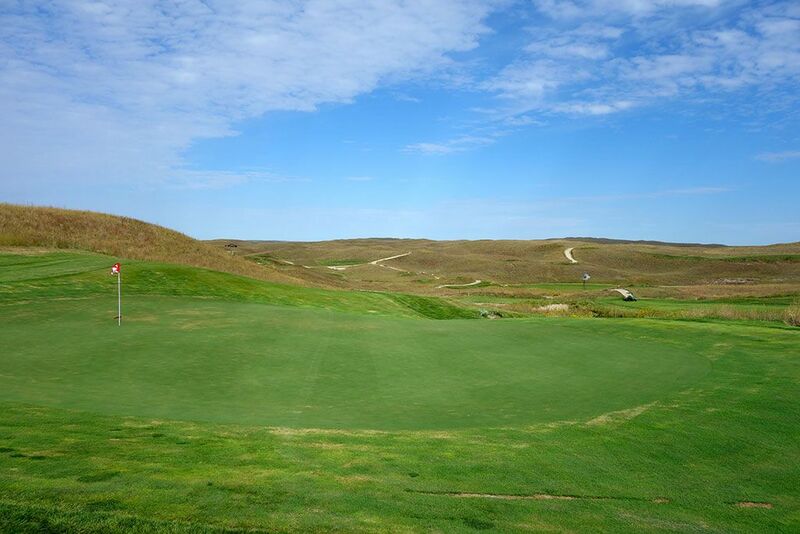 It's no secret that Jack's greens became substantially more undulated after working with Tom Doak at Sebonack as well as his appreciation of minimalist work which is on display at Dismal River. In fact, when the White course first opened the Nicklaus team moved less dirt at Dismal River than at any other project in their portfolio. Other than removing a nob of dirt off a hill on the 15th hole, it is reported that no earth was moved other than to soften some of the green contours to accept more pin placements (some additional changes have been done since the original opening). The first tee is located a mile from the clubhouse which can make you wonder whether you are still going on the right path to get there; the same feeling you get driving on the 17 mile single lane road that leads into the club. There are cottages on site that you are encouraged to stay in while on property and the food in the dining area of the clubhouse is top notch. 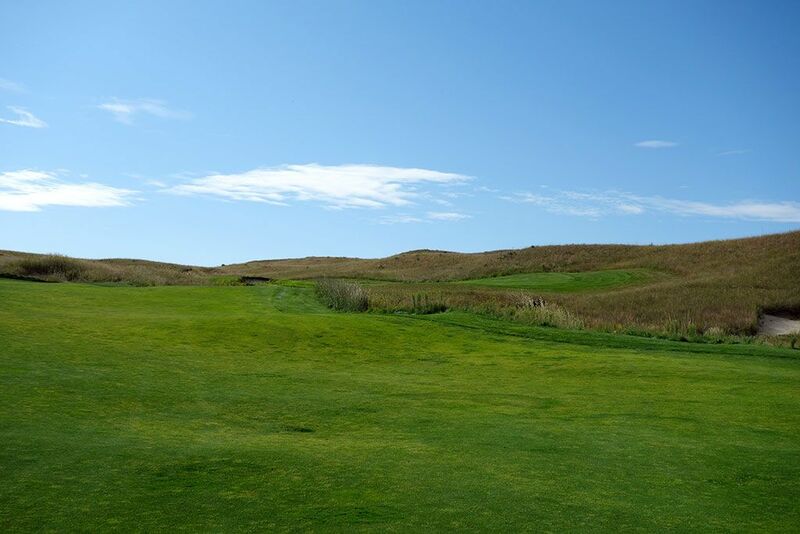 Carts are available to ride in on each course though you'll find plenty of players electing to walk which puts less wear and tear on the fescue fairways. Is the remote isolation of Dismal River worth the trip? Without a doubt. 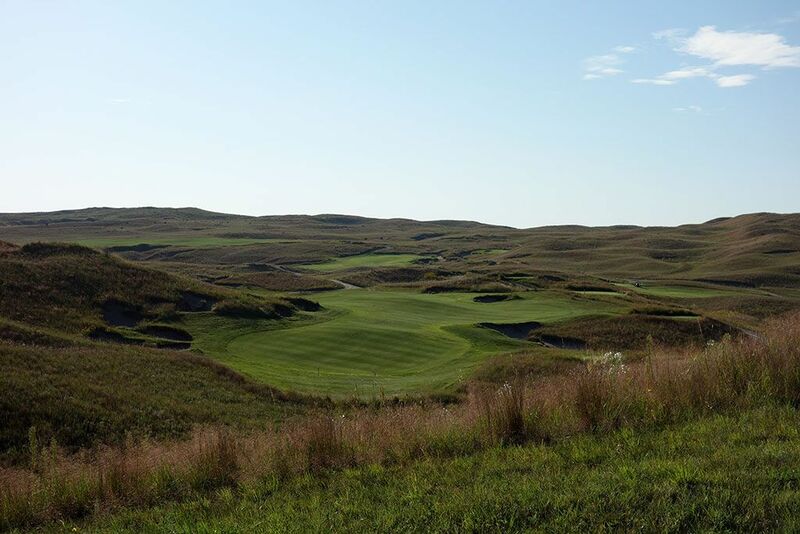 Signature Hole: 4th Hole – 578 Yard Par 5 – Not only is the 4th hole at Dismal River's White course the signature hole of Nicklaus' design, it is arguably the signature hole for all of Nebraska. 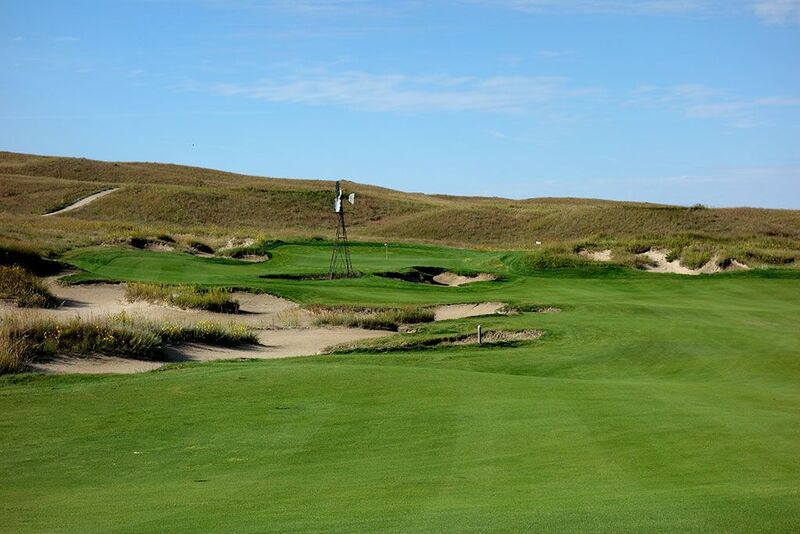 This stunning three-shotter meanders through the low land below the surrounding sand hills with a large windmill giving character to the hole and homage to the property's roots. 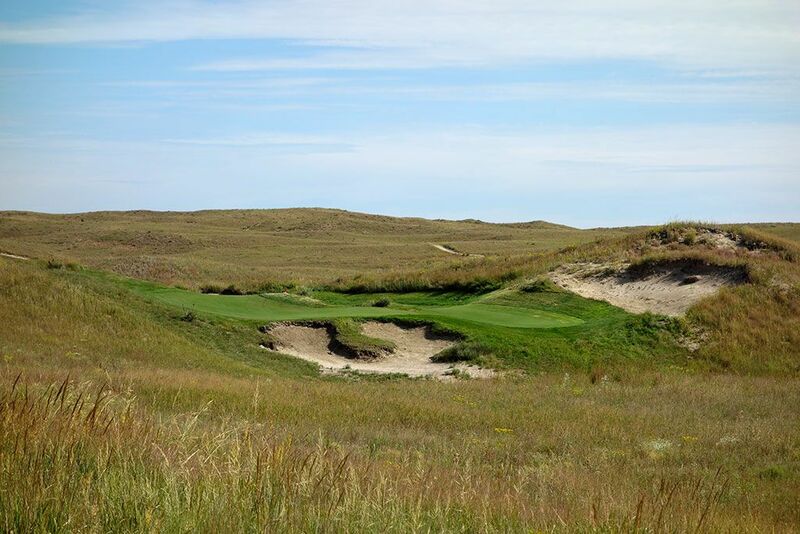 The fairway navigates through a series of bunkers before turning left and finishing at a slightly raised green site resting in a natural sand dune amphitheatre. 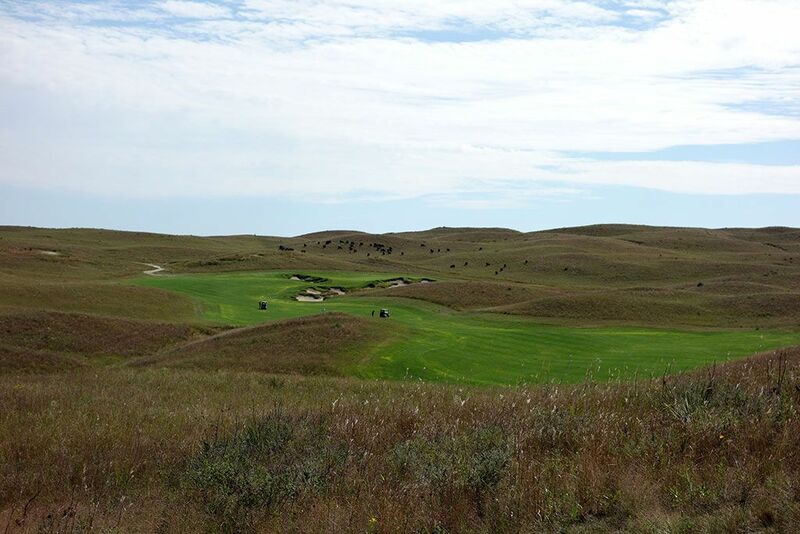 The way this hole drapes naturally across the landscape is flat out beautiful and shows off what makes golf in Nebraska's sand hills so special. Best Par 3: 10th Hole – 195 Yards – Jack Nicklaus made a bold move by placing a bunker in the middle of the green on a par three; something he also did at Hualalai's 12th hole on Hawaii's Big Island. In both instances I think the result is not only unique but a lot of fun to contend with. At Dismal the green sits low in front and provides a high route up the left and a low route on the right to navigate to the back half of the green. The bunker rises up like a volcano above the rest of the putting surface thus helping repel balls away from the sand to increase the playability of the hole. If the pin is in the front then aim at the green slope on the left side and feed the ball back to the hole, if it is in the back then take plenty of club to fly it all the way back since the bowled setting will help the ball from getting away. 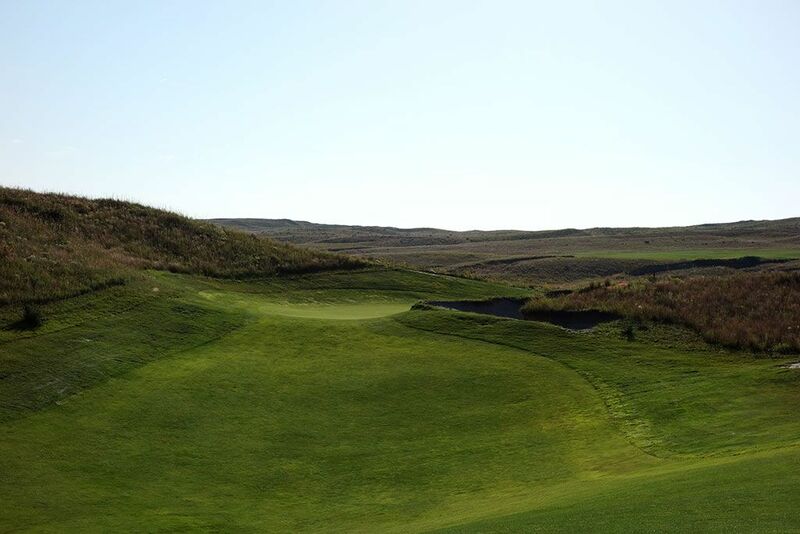 Best Par 4: 1st Hole – 433 Yards – Few opening holes end up being one of the most memorable of the round however Nicklaus pulls it off at Dismal River. Players stand on an elevated tee yet have no view of the green. 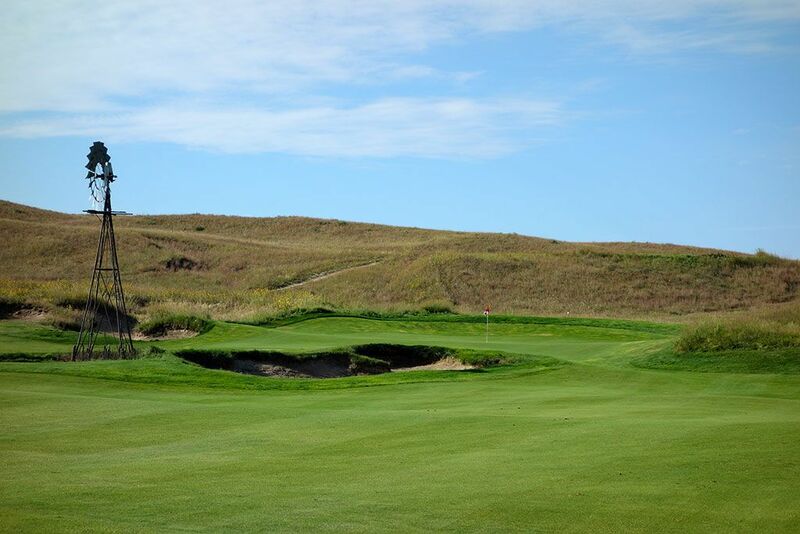 Even after finding the fairway, players will likely have a blind approach shot into a punchbowl green that is fronted by a large bunker and dune. A blind shot so early in the round is a bold move by Jack, but I liked it and found myself anxious to play the hole again which is always a good sign. Best Par 5: 12th Hole – 572 Yards – The 12th plays from an elevated tee with a commanding view of the double dogleg hole unfolding in front of you. 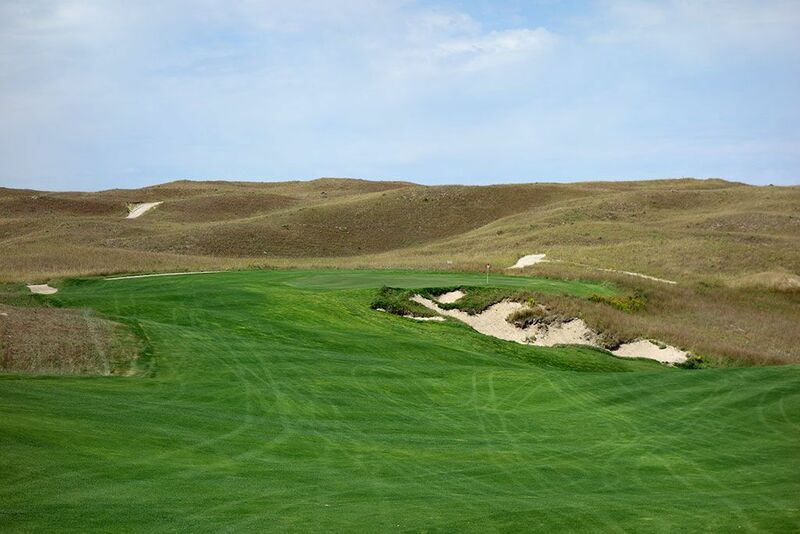 A dune on the left side of the fairway stands as your decision making marker; take your chances bombing a drive over it and setting up a chance to reach the green in two or play it safe to the ample fairway to the right. 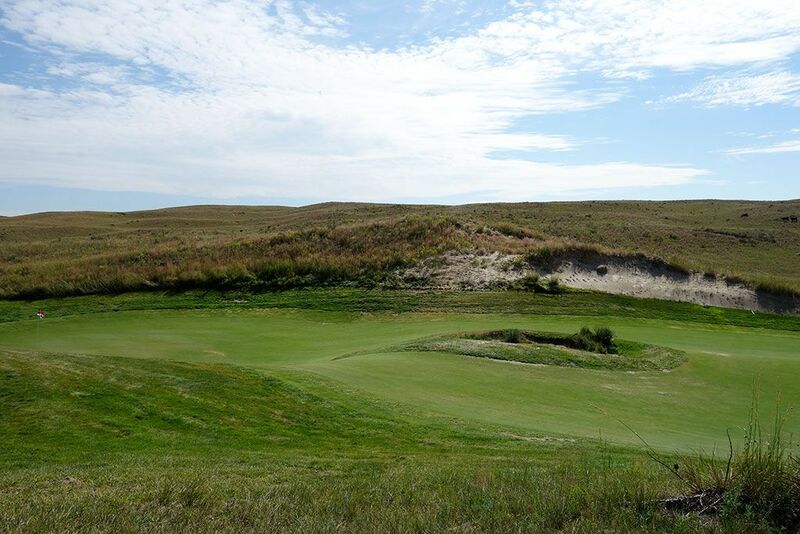 Bunkering does not come into play until up near the green where the corner of the final dogleg is peppered with sand as well as both sides of the green. 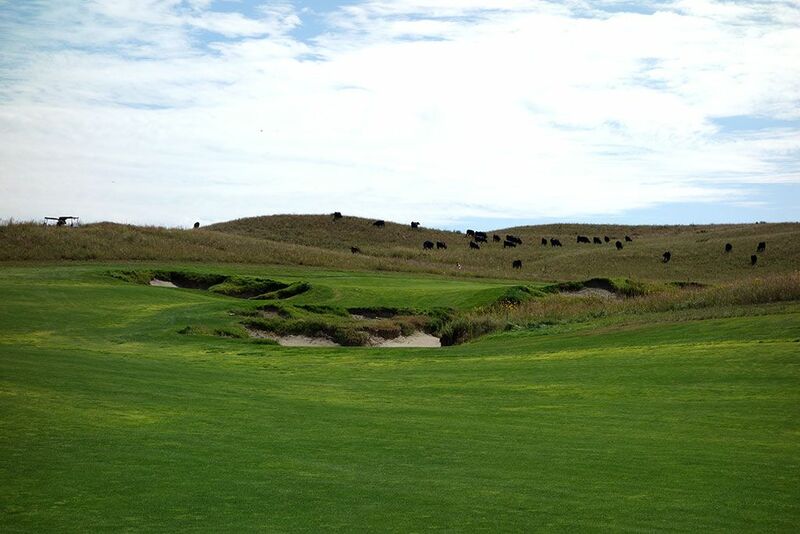 The angled green sits in a low spot among the rolling dunes with cattle grazing in the background. Birdie Time: 8th Hole – 333 Yard Par 4 – Perhaps the most enjoyable hole at Dismal River is this option-laden short par four that features a large bunker complex bisecting the fairway. 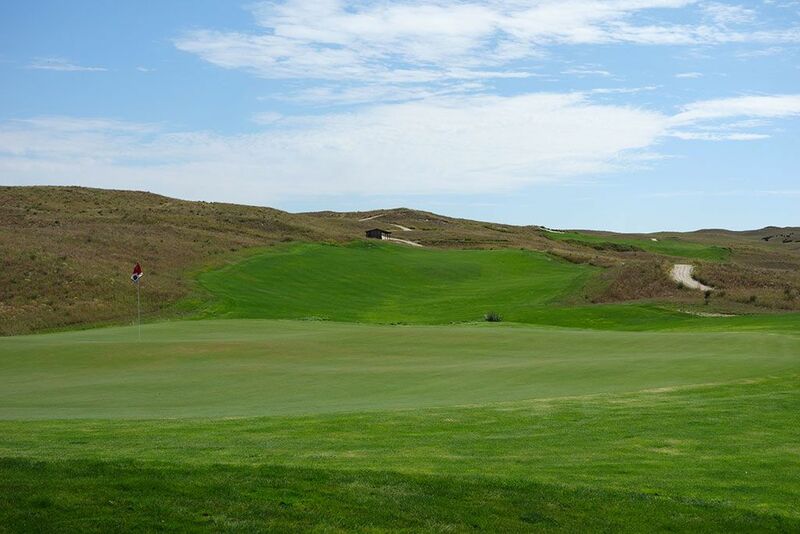 The conservative play is an iron to the fairway that stays left of the bunker complex while aggressive players take a rip at the green and hope to utilize the dune right of the putting surface to feed the ball onto the green. The hole design features a brilliant mix of risk countered by reward with options available for every skill set to test their merit against. Bogey Beware: 14th Hole – 515 Yard Par 4 – This hole is a brute. Though it plays downhill from the tee to the fairway, the fairway is partially blocked from view and high winds can mess with your confidence. The approach shot is what separates the men from the boys on this hole with players facing an uphill shot to a green protected by a large bunker that fronts 80% of the putting surface. The bail out left of the green provides safety but features flat terrain that wonâ€™t help kick the ball towards the putting surface. 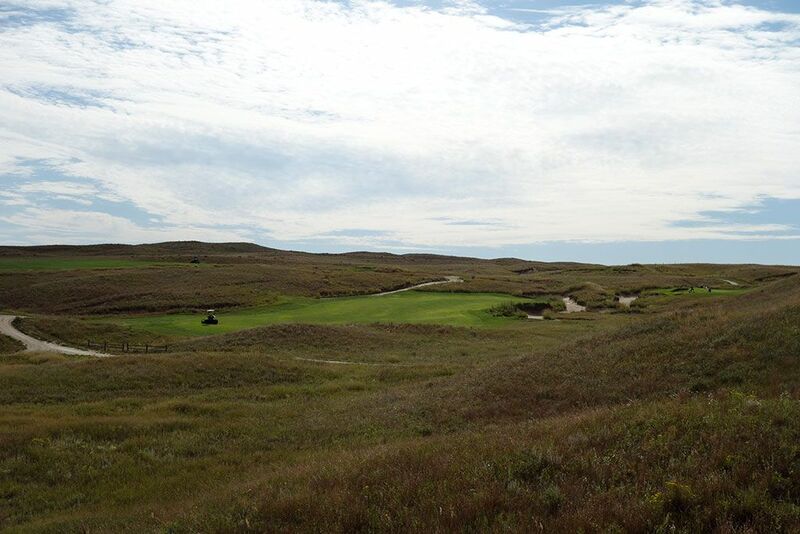 While the hole is a beast, the scenery counters with beauty with the green site sitting at the base of one of the largest dunes on the property.